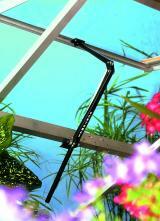 Automatic window opener in stainless steel and aluminium. 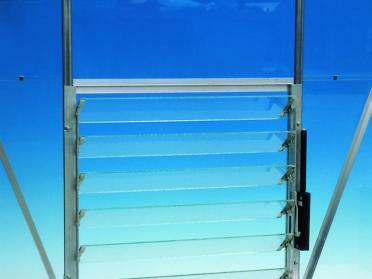 Opens and closes within a range of 16 and 25°C. Solar powered. As the warm air escape, fresh air will take its place. 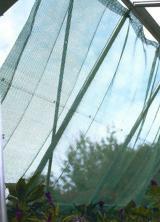 To ensure this happens effectively, install a louvre window low down in your greenhouse where it will not damage delicate plants. Quick and easy to use. 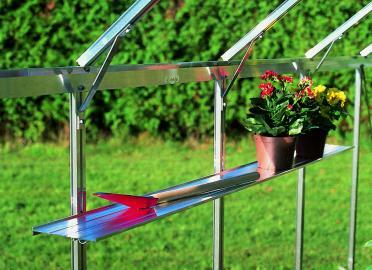 Covers all or part of your greenhouse. Attach to the inside of the frame using clips. 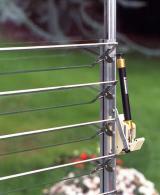 Automatic window opener in galvanized steel. 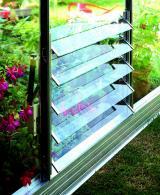 Especially suitable for greenhouses with glass. To enquire about any of the garden accessories listed on this page, or if you'd like a different style, please call us or come on in!